There was everything to play for for both sides coming into this fixture; Australia would be looking to right their loss to Argentina in the previous round, while South Africa would want to keep the pressure on New Zealand before their game against Argentina. Both teams came into this fixture with a lot to play for. 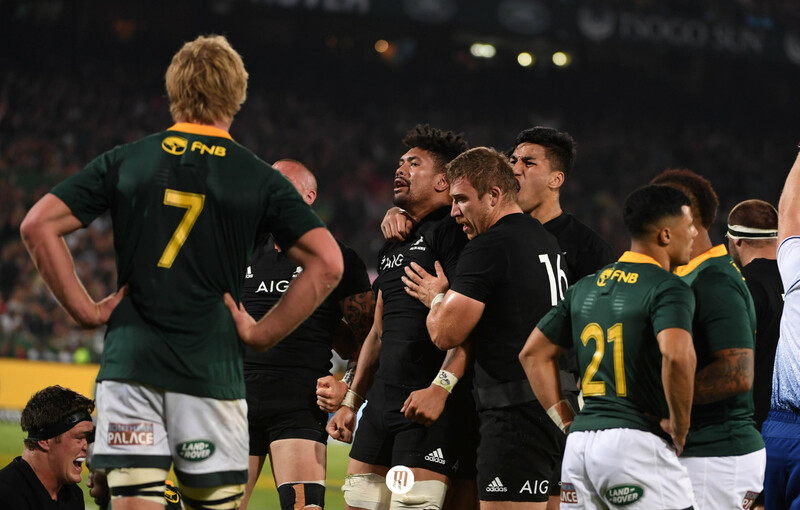 After their dramatic win in New Zealand, South Africa had forced the Championship wide open and would be focussing on delivering a result that put the pressure on New Zealand; a loss for them in Argentina would see the tournament go down to the wire in Pretoria. Australia were still hurting after their home loss to Argentina, and went into this fixture sitting bottom of the table. After a solitary win from their opening four games, that against South Africa at the Suncorp Stadium, they would at least be looking to take a win with them when they travel to Argentina for the final round. That mission was made all the more difficult thirty seconds into this match, when Aphiwe Dyantyi intercepted a speculative pass from Kurtley Beale. 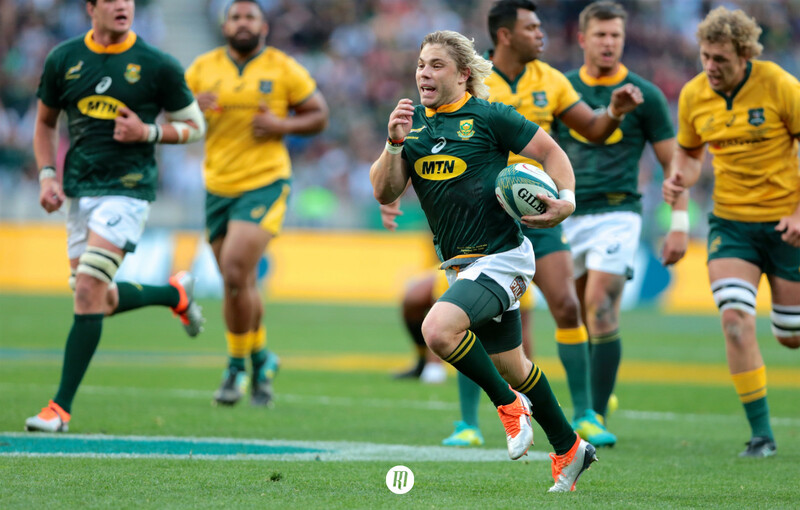 The Australian, on his own try line and under huge pressure from Faf de Klerk, was unable to clear the ball and looked to move it wide to a player with more space and time. As it was, the ball landed in the hands of Dyantyi who had little more to do than collapse over the try line. The conversion from Handré Pollard followed, and South Africa were off to the best possible start. The match continued in the same vein; the intensity of the South Africans in defence was matched by their ferocious tempo in attack. Australia struggled to keep up, and might have found themselves down by more had David Pocock not made a stupendous nuisance of himself at the breakdown. 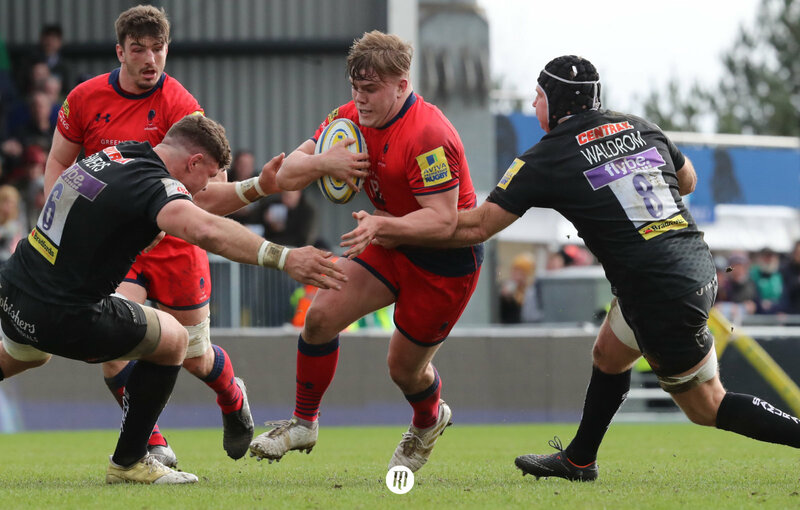 Defensively both teams remained tight, leaving little room through the middle for their counterparts to manoeuvre, but a hasty rush from the impetuous Taniela Tupou opened the door for Pollard on the twenty minute mark. 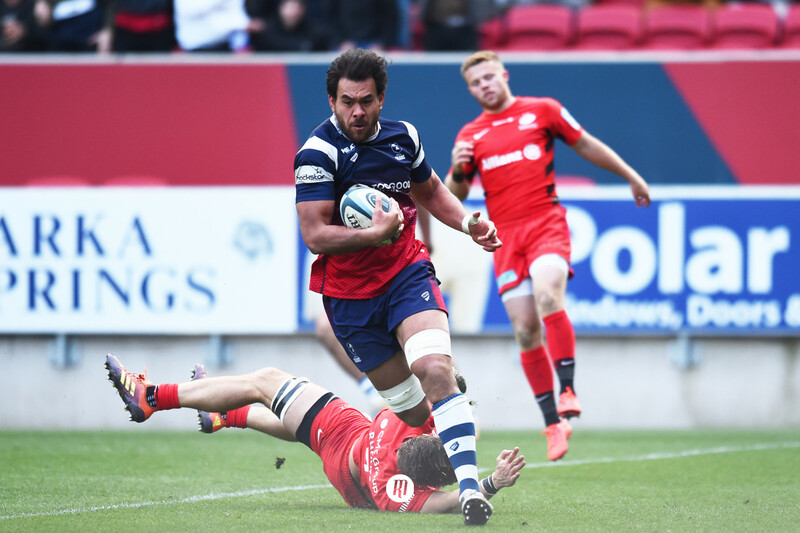 His offload found Faf de Klerk, and South Africa had their second try. South Africa had the ascendancy on the scoreboard, but they also had it in the contact area. It was clear going into the game that Australia packed little punch through the middle of the field, and with the South Africans tackling at such a high intensity, breaking them down was going to be a hard task. Testament must go to Australia though for altering their game plan and forcing South Africa onto the back foot; lifting the tempo of their game put the men in green under a lot more stress in defence, and with it remaining so tight, Will Genia was able to float a wide pass out to Reece Hodge who touched down in the corner. Three minutes later, and a sniping run down the blind side from Genia found Korobiete, who accelerated away from de Klerk before popping the ball back inside for his scrum-half to score the try. Half an hour gone, and the game sat in South Africa’s favour, fourteen points to twelve. Indeed, as the first half closed out, it was South Africa who were on top. They were punching holes in the Wallaby defence and playing with a high and focused tempo and intensity. Their intensity was not diminished in defence either; with time up on the clock, Siya Kolisi’s counter rucking delivered the ball for South Africa. Another penalty from Pollard closed out the half. It was clear as the second half kicked off, that Australia were focussing on going around South Africa, rather than through them. Their runners were static though, and their low tempo allowed the South Africans to organise their defence each phase, and get up quickly to stifle the Australian attack. After Pollard had dispatched another penalty after a high arm from David Pocock on Aphiwe Dyantyi, Australia seemed to up their intensity again. They looked like a team who had started to play with the urgency that a game slipping away from you delivers. As the game wore on however, that nervousness manifested itself in small mistakes that pushed the game further away from them. Perhaps things might have been different if Bernard Foley had been playing ten from the off? 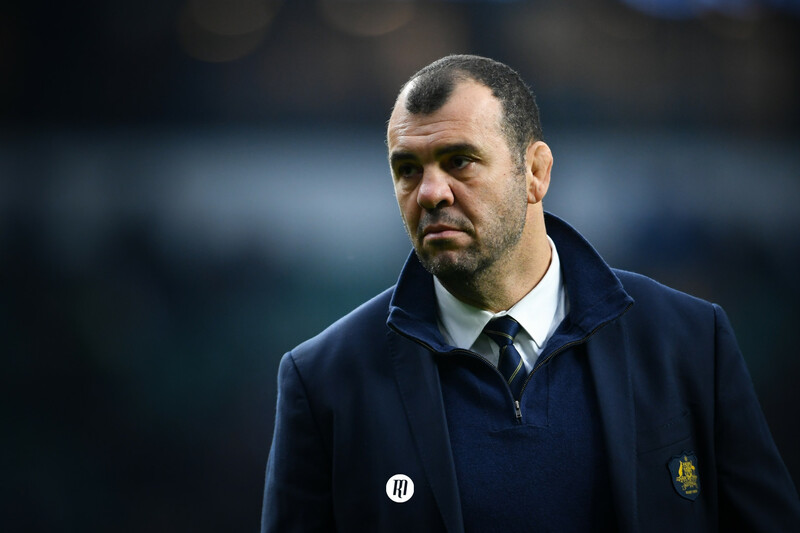 Australia certainly looked like they needed more game management in midfield, and they might have at least clawed their way closer if the mercurial talent of Kurtley Beale was situated in wider channels where he could have a greater effect on the game. Combine that with a backline that continues to chop and change, and one felt like the game was tentatively out of the reach of Australia. This despite the fact that they enjoyed, or perhaps not, nearly 70% and 80% of possession and territory respectively. Those figures highlight the inability of the side to penetrate the South African defence, though while they lacked in that area, they didn’t help themselves with the mistakes they made. South Africa will have been happy with the way the second half played out, and given that they have now heaped all of the pressure onto New Zealand, the world looks on to Estadio José Amalfitani with great expectation.